Hmmm, so? Bamboo is just one material used to make activated carbon. 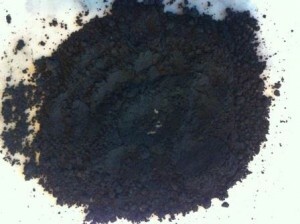 Activated carbon has special qualities over plain old charcoal. Adsorption is the key here. Adsorption is the binding of molecules or particles to a surface, as distinguished from absorption, the filling of pores in a solid. Activating carbon gives it high degree of microporosity, increasing the surface area so just one gram of activated carbon has a surface area in excess of 500 m2. Activated carbon has many industrial applications, but probably the best known use is medical. The adsorptive qualities can treat some poisonings and overdoses. It’s so important that it appears on the World Health Organization’s List of Essential Medicines. For everyday personal use the list of activated bamboo charcoal is extensive: odours, soap, humidity, water filtration, baking, face masks, indigestion, toothpaste, insoles for shoes…. The list of products on Amazon goes on for pages, (but not every item will ship to Australia). Ebay au has a smaller but still diverse range of activated bamboo charcoal products. The most popular products seem to be the air freshening/odour absorbing ones. There is range that comes wrapped in hemp bags – much more attractive than the plain black bag I picked up at the Bamboo Festival. There are some pretty ones on eBay au though, as well as some disguised as dogs. Maybe stuffed dogs in the back windows of cars are really there for a purpose? The most interesting looking product, I think, is the food-grade powder . Or maybe the tooth and gum powder. With the powder on hand, you could make your bamboo charcoal soap, use it to make bamboo charcoal bread, treat indigestion and certain poisoning events, or whatever you can think of. In case you are wondering, activated carbon is usually made from charcoal and, increasingly, high-porosity biochar, both of which can be produced with mature bamboo. Two different processes may be used: physical reactivation and chemical activation. There is a Wikipedia entry that explains the processes. This entry was posted in All, Bamboo around the world, Bamboo product reviews, Building and Home Renovation, Food, Home and Health and tagged activated bamboo charcoal, activated carbon, bamboo, bamboo charcoal, bamboo festival, health on 08/08/2014 by Deb.